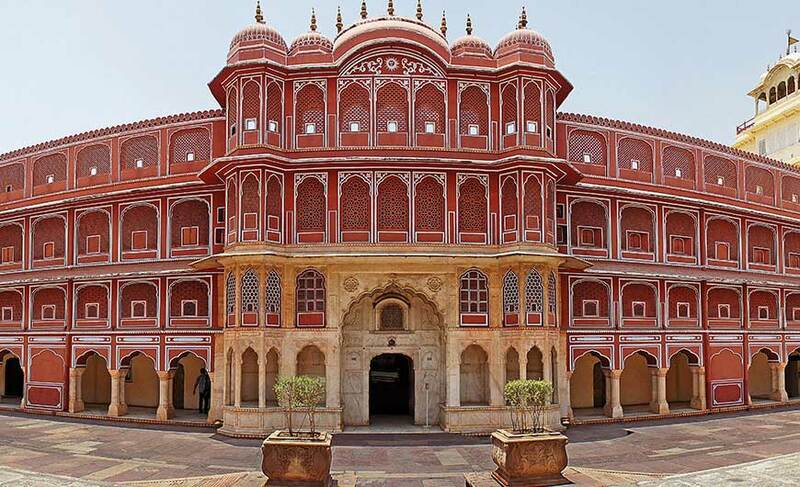 Popularly known as the Pink City of Rajasthan, Jaipur is a destination with varied hues! 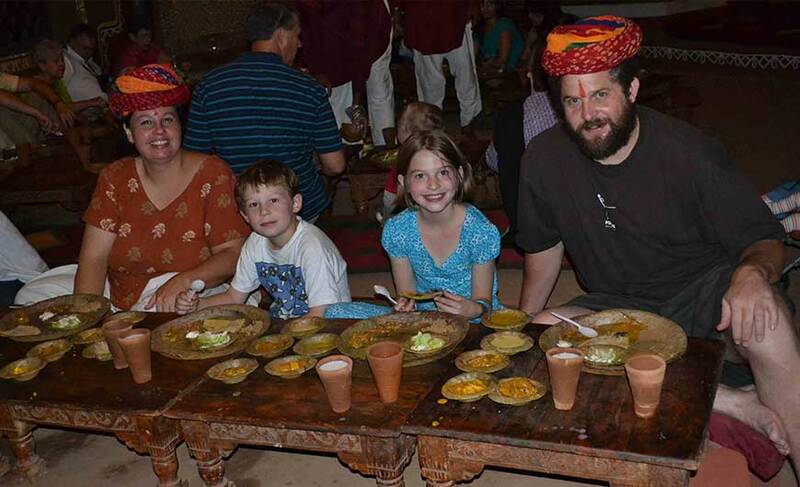 Its romantic charm and rich cultural heritage makes it a big hit with travelers. It is called the Pink City because all the buildings here are painted in pink and there is a history behind it. In the year 1876, the Prince of Wales and Queen Victoria visited Jaipur on a tour. The colour pink symbolizes hospitality so the then ruler of Jaipur, Maharaja Ram Singh got the entire city painted in pink to welcome the guests. The tradition has been maintained since then. 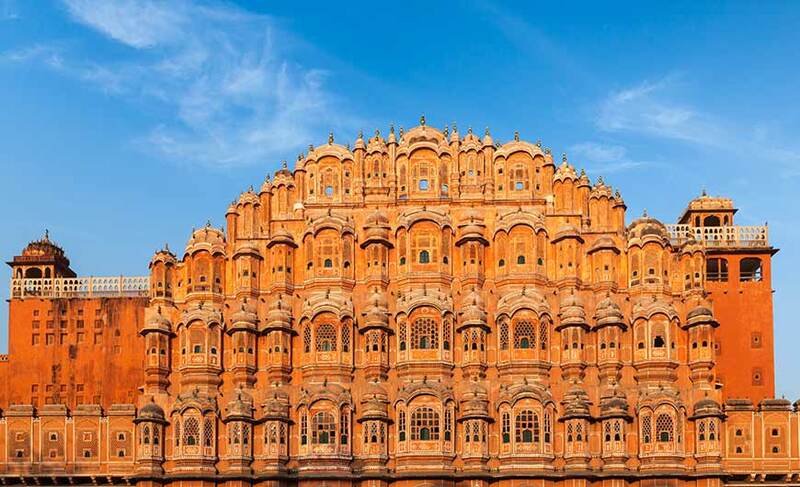 Jaipur, the largest city of Rajasthan, was founded by the great warrior king Sawai Jai Singh II in 1727 and was planned perfectly by Vidyasagar, a Bengali architect, on the principles of Shilpa Shastra (an ancient Indian text on architecture). Its glorious history beautifully reflects in its royal palaces, majestic forts, interesting monuments, opulent heritage hotels, colourful handicrafts, delicious cuisine, magnificent fairs and festivals. At 0600 hrs, pick up from your pre booked hotel/airport and drive to Jaipur (262 km/ 5hrs). Synonymous with Jaipur, Hawa Mahal (the Palace of Winds) is a fascinating building with beehive like structure encompassing around 152 windows with over hanging latticed balconies. 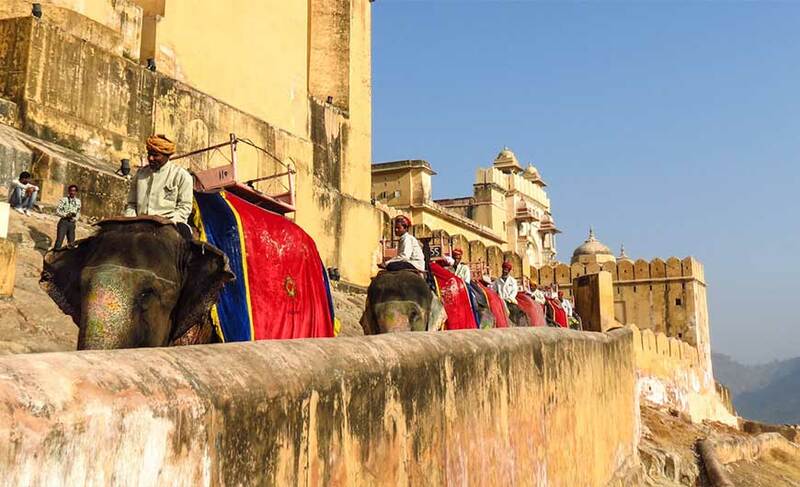 It was built in Rajput style of architecture by the king Sawai Jai Singh II in 1799 to enable the royal ladies watch royal processions and other activities on the street below in privacy. A mind-blowing example of the blend of Rajput and Mughal architecture built in the 18th century, the City Palace is all about royalty. Its huge complex houses stunning buildings and great collection of art and artifacts dating back to the raja-maharaja era. The museum in the palace displays a rare collection of both Rajput and Mughal costumes, arms and weapons, miniature paintings, royal belongings and much more. Ideally set on a hillock, Amber Fort is an architectural marvel built in 1592. It is a flawless fusion of Rajput and Mughal architecture. The many palaces and other royal structures inside it are a true testimony to the bygone glorious era. It’s adorned with paintings, carvings, precious stones and dazzling mirror work. It is an astonishing astronomical observatory of Jaipur built in 1734 for astronomical observations and calculations. The term Jantar Mantar means “instruments for measuring the harmony of the heavens”. All the 14 colossal astronomical observatory instruments here were built in stone and they always gave accurate readings. Its uniqueness made it a UNESCO World Heritage Site. 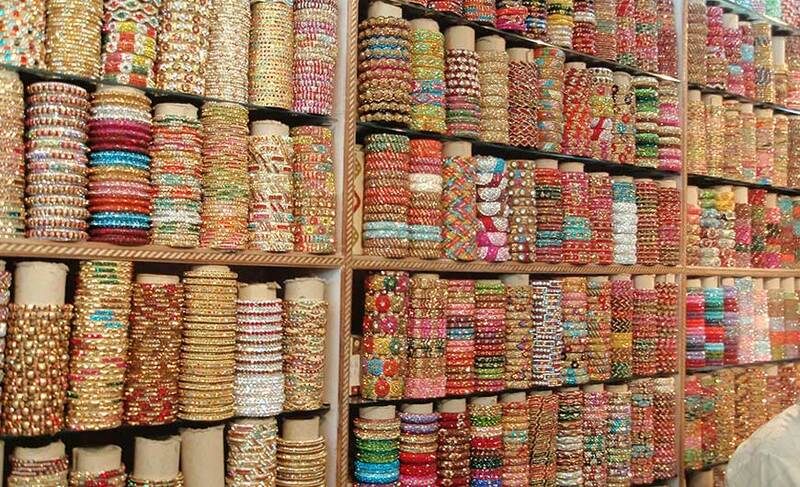 Shopping in Jaipur is truly bliss! It is one place where you can really shop till you drop. Its markets bustle with a wide range of handicrafts like kundan jewellery, blue pottery, batik paintings, block printed textiles, tie and dye fabrics, mojari (local shoes), sandalwood carving items, stone carvings etc. Thereafter, drive you back to Delhi, and you will be transferred to your hotel/ airport.